Here we explore an age-old debate of cash versus gold, the benefits/disadvantages of cash and why we conclude that gold is better than cash in the bank! Note: when we refer to cash, we are meaning cash in both a physical form as well as cash held in a bank account, which can readily be withdrawn. Why invest in gold rather than keep the cash? physical gold has all the benefits and most of the disadvantages can be mitigated against. Gold has well and truly stood the test of time and has been used as a method of exchange in trade for 5,000+ years. 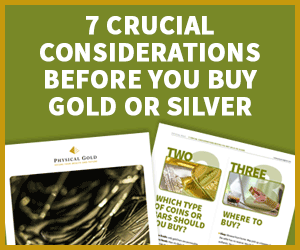 Analysing the benefits of cash, we can also say that physical gold is familiar in both coin and bullion formats, is also highly liquid and has no counterparty risk. Looking at the disadvantages of cash it is clear that physical gold doesn’t have these disadvantages in common. Physical gold is virtually indestructible, and it can’t be devalued by the whim or economic needs of a government. Physical gold stored by the owner isn’t subject to fraud and generally (looking at history) as inflation rises so does the price of gold, which is renowned as an investment product to use to hedge against inflation. Gold is the same worldwide, there is no need to convert at a cost into a local currency. Unlike with cash, there is a chance of capital gains with gold, historically gold prices have performed well. Physical gold could be at risk of theft, so the owner does need to make sure that strong security is in place, sometimes this could be through third-party storage, which needs to be investigated carefully to reduce counterparty risk. Call 020 7060 9992 and speak to Physical Gold now about your requirements and we can advise on the best approach for you. We can advise on strategies of how to best convert your paper wealth into physical gold and in doing so realise the benefits previously described. If you prefer to, email us now at https://www.physicalgold.com/contact/ for an early reply and to start discussions. This entry was posted in Blog and tagged Gold vs Cash.